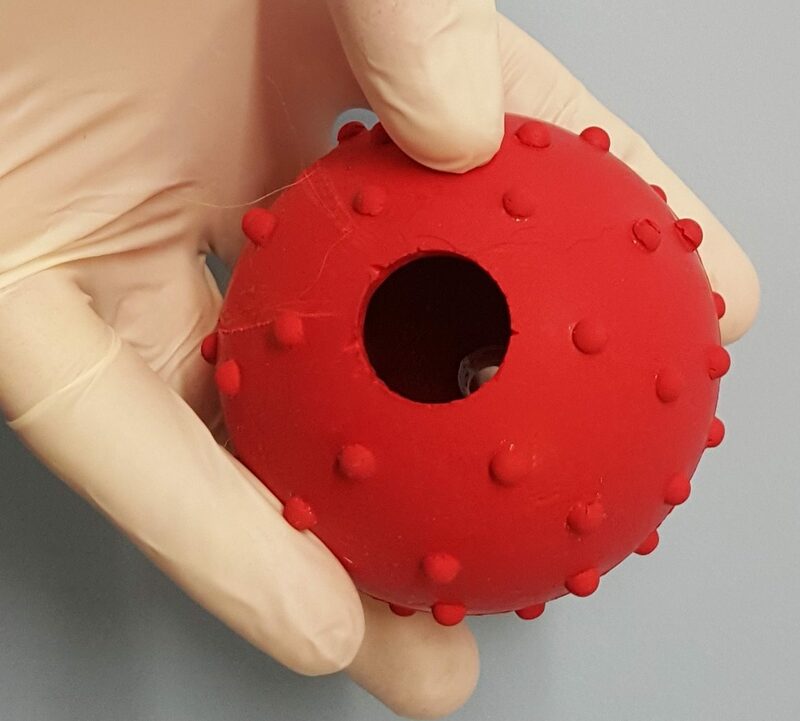 The owners of a beloved German Shepherd have spoken of their relief after emergency vets saved their pet from choking on his favourite toy ball. Kaiser only survived because he’d previously chewed away a rope which was attached to the ball, leaving a hole in the middle that allowed him to gasp in air after the toy had become stuck deep in his throat. 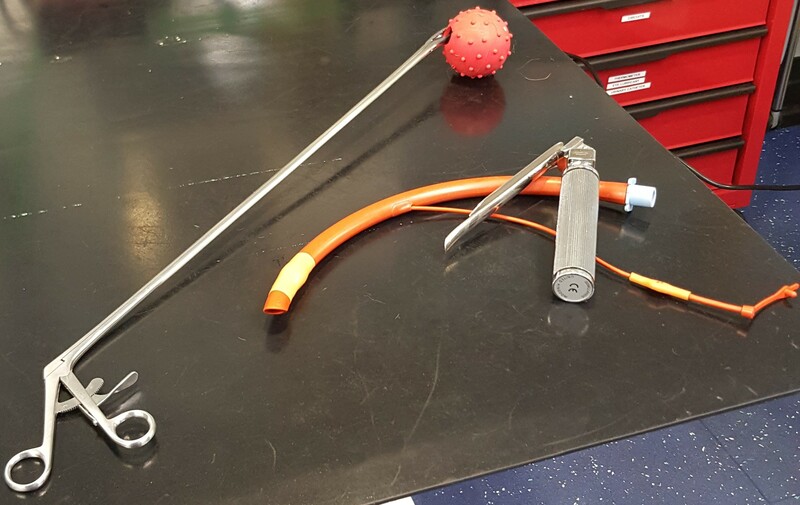 His owners Kath and Eric Blackburn took him to Calder Vets’ emergency hospital in Dewsbury, where vet Kyle Perrin sedated him and used a pair of crocodile forceps to retrieve the ball. 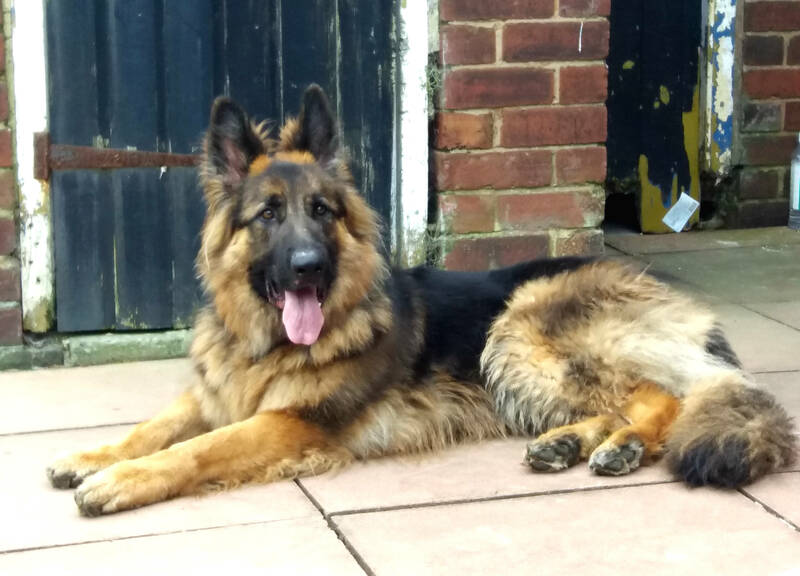 Kaiser is now back home with his family in Pontefract and showing no ill effects from his ordeal. “I tried to reach it with my fingers but Kaiser was distressed and clamped his teeth shut. “I didn’t know what to do and really got upset. I honestly thought he was going to choke and I just burst into tears. “We were both slapping him between the shoulder blades to try to dislodge it and we even tried the Heimlich Manoeuvre – but although I’m a first aider I’d learnt how to do it on humans, not on a German Shepherd! “Thankfully when we arrived at Calder the team were ready and waiting for us. “They quickly took Kaiser into the treatment room, sedated him so he’d relax, and then managed to reach down into his throat and retrieve the ball.